Encountering any type of error on your site is never a fun experience, especially if you’re not sure how to fix the underlying problem. While WordPress is usually relatively free from errors, when one does occur it can sometimes be frustratingly difficult to interpret. Fortunately, most common WordPress errors can be addressed by almost anyone, even if you have little technical know-how. As long as you understand what causes each issue, you’ll be able to diagnose and take care of the problem to get your site back on track. In this article, we’ll introduce you to five of the most common WordPress errors, and show you how to resolve them on your own. Let’s get started! With no error message or obvious access to your files, this might seem like a total disaster. However, there’s no need to worry. While there are a number of things that can cause the WSoD to occur, fixing it is usually straightforward. Check your plugins. The most likely culprit is one of your plugins, usually due to incompatible or incorrect code. The easiest way to find out is by disabling all of your plugins to see if that resolves the problem. If you can’t access your admin area, you can do this by using a File Transfer Protocol (FTP) application. We recommend FileZilla, as it’s free and easy to use. Replace your current theme with a default option. You can also try deactivating your theme, to see if it’s the cause of the WSoD. Once again, access your site’s files using FTP, and then simply change the name of your current theme’s directory. This will automatically activate one of the default WordPress themes instead. If this brings your site back to normal, you’ll know that your theme is at fault. Increase your site’s memory limit. Your site’s memory limit determines how much memory is allocated to the PHP that runs WordPress. If it doesn’t have enough to function, you can manually increase the limit by using FTP to edit your site’s wp-config.php file. Activate WordPress’ debug mode. 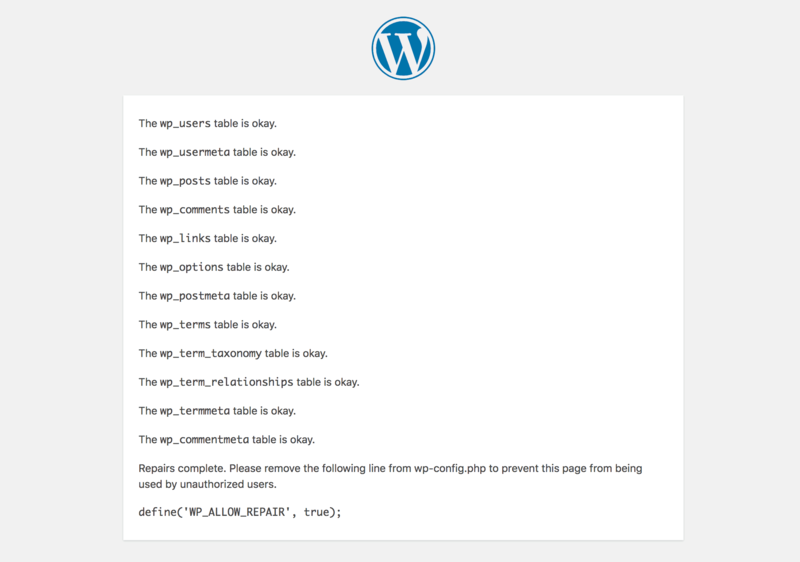 If all else fails, you can activate the WordPress debug mode. This is a useful, mostly-hidden feature of WordPress that shows you error information directly on your site. Once again, you’ll need to edit wp-config.php to activate (and then deactivate) this feature. Once you’ve found the cause of the WSoD, you may need to take further steps to resolve it. For instance, if a plugin or your theme is causing the problem, you’ll likely want to start looking for a replacement. Alternately, you can reach out directly to the developers for more information and support. This error appears when there is an issue with your site’s code. 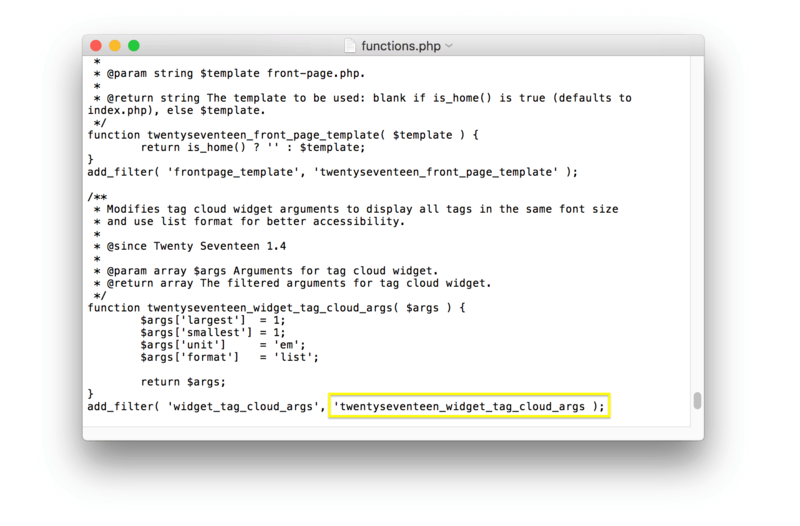 In the above example, the issue appears to be a simple syntax error in our theme’s functions.php file. To fix this kind of error, you’ll need to use FTP again. As it turns out, there’s a missing apostrophe on this line. All we’ll need to do now is add that apostrophe back in and save the file. After fixing whatever code issue you find on your own site, be sure to upload the file you edited back to your server. This should resolve the parse error. If not, you may see additional syntax problems when you next visit your site, which you’ll need to fix using the same method. There are a few reasons why you might see this error. For example, your site may have reached its memory limit, as we talked about earlier. However, the most common culprit is a corrupted .htaccess file. Without getting too technical, this file contains a set of rules for your server, concerning tasks such as denying access to malicious users and handling links. This will generate a new, uncorrupted .htaccess file. If the issue is resolved, you can delete your old, renamed version. However, if this doesn’t resolve the issue, you may need to increase your memory limit, as we covered in a previous section. Unlike the previous issue, this error actually does fit its name, since it indicates a problem with your database. In short, you’ll see this error when your site cannot connect to its database. This is an issue since your database contains all of your site’s content. There are plenty of technical reasons why the error establishing a database connection issue might occur. Fortunately, you won’t have to deal with them directly. 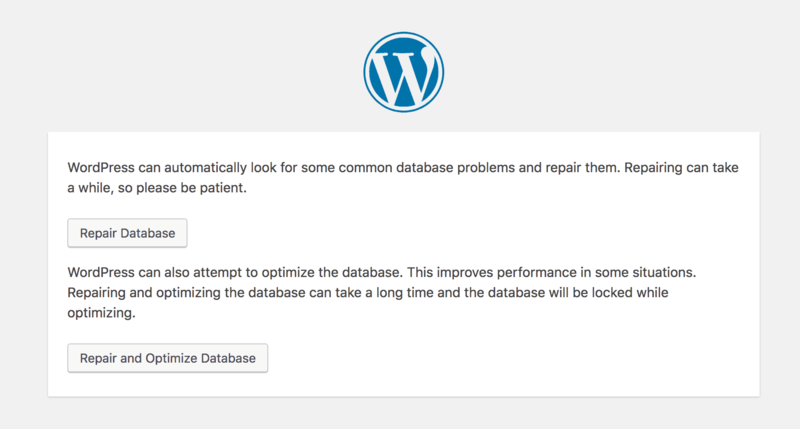 This is because WordPress includes a tool for repairing your database, called Automatic Database Optimization. It enables you to repair and optimize your databases, and to use it you only need to make a minor change to one of your site’s files. This will activate the repair tool. Be aware that this tool can be accessed by any user, even if they are not logged in to your site. As such, you’ll need to remove this line as soon as you’re finished troubleshooting. You can now check your site to see if this fix has resolved the issue. If not, you may need to contact your web host for more assistance. Finally, don’t forget to deactivate the database repair tool. This is usually due to a faulty hyperlink, or happens because the page’s URL has been changed without redirection. However, in some rare cases, it can occur even if the URL is correct. In those instances, the problem can usually be found in the .htaccess file. We mentioned earlier that this file is in charge of your site’s permalinks. If it’s incorrectly configured or corrupted, it can lead to 404 errors appearing where they shouldn’t. You can resolve this issue by generating a new file, as we covered in a previous section. However, if you are unable to access your admin dashboard, or if that method doesn’t resolve the problem, you can also create a new file manually. Save the file and use FTP to upload it to your site’s root directory, replacing your old .htaccess file. This should solve the 404 error in most cases. If you’re still experiencing problems, however, you may want to check your site for broken links. Few things are as frustrating as encountering an unexpected error on your website. Many common issues can also be infuriatingly vague, leaving you with little information about what the problem is or how to fix it. Fortunately, once you understand what each type of error message means, it’s usually straightforward to fix. Do you have any questions about resolving any of these (or other WordPress-related) errors? Let us know in the comments section below!